A 56 year old patient was seen at Emergi-Care Medical urgent care clinic in Orlando with the pain in the hip and blisters on right side of lower abdomen. 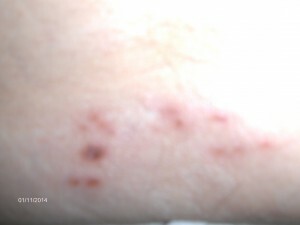 The patient was seen at the hospital and another clinic and was diagnosed and treated for scabies. The patient was admitted to the hospital and was treated with Dilaudid for severe pain in the hip and was diagnosed with bursitis of the hip. The patient’s daughter brought the patient to our medical center on day 12th of her sickness. Dr. Jain diagnosed her with having shingles and treated her. She responded to some extent but still has the pain of post herpetic neuralgia. The patient might have responded to Acyclovir better if the patient was diagnosed in time and was given the treatment of Acyclovir. This entry was posted in Emergencies, Emergency Care, Family Health Care, Medical Needs, Patient Stories, Routine Medical Services, Urgent Care and tagged admitted to the hospital, blisters on right side of lower abdomen, bursitis of the hip, Emergi-Care Medical, medical center, pain in the hip, pain of post herpetic neuralgia. Acyclovir, severe pain in the hip, shingles, treated for scabies, treated with Dilaudid, treatment of Acyclovir, urgent care clinic in Orlando. Bookmark the permalink.